enough space for 8 persons. Christmas- / New Year peak season. (Rates plus service charge and VAT). 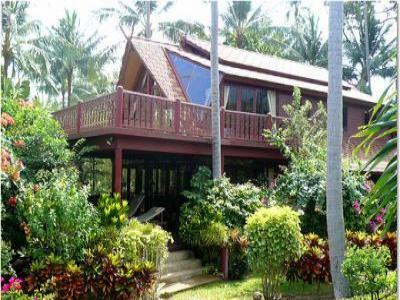 oven.This Holiday Villa provides enough space for 8 persons. generally well-known, very good and healthy thai food. remembrance of this paradisiac holiday. Notes: (++) plus 7% tax (VAT) and 3% service charge.